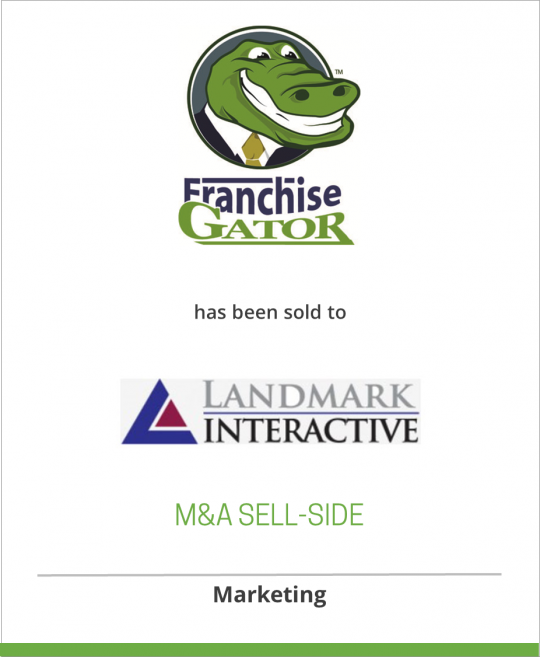 Franchise Gator, founded in 2001, is a leading Internet-based franchise pay-for-performance marketing service. FranchiseGator.com presents prospective franchisees with profiles of more than 1,100 leading franchise opportunities and businesses in more than 100 industry sectors. In 2006 it was acquired by aQuantive, a global digital marketing company which owned Avenue A | Razorfish, the largest interactive agency in the US, and other performance media and behavioral targeting businesses. Microsoft Corporation acquired Franchise Gator as a part of aQuantive in 2007, when it became a subsidiary of Microsoft Advertising. The companies of Landmark Interactive offer Internet advertising and marketing services to consumers, businesses and, in particular, marketers. Its online marketing services businesses help leading publishers and advertisers acquire profitable customers through services such as lead generation, ad targeting, geo-location, predictive modeling, and email marketing. Landmark Interactive is a division of Landmark Media Enterprises LLC, a diversified media and communications company headquartered in Norfolk, Virginia.